The HP Stream 7 is one of the first of a new breed of seven inch tablets that have a full version of Windows and at $99 price point. Combined with Bluetooth and expandable storage via SD, you can really turn this into a fully featured laptop. Is this worth it to spend? It depends, you won’t be able to run any graphically intensive games, but would make simple stuff from Steam play well. You also could run a ton of emulated content, use it as an e-book reader or just watch videos. 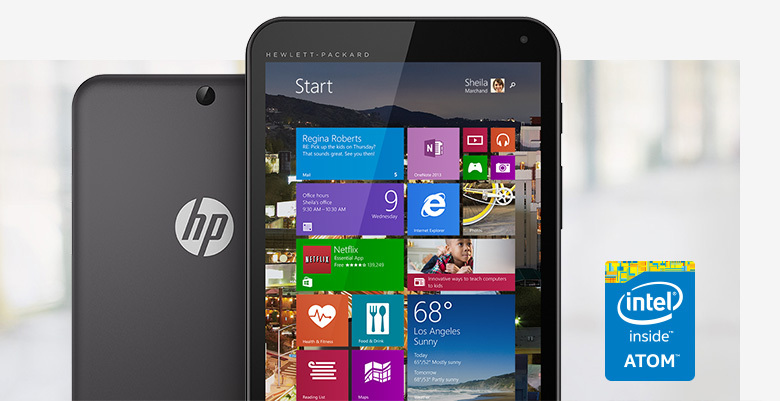 The HP Stream 7, is seeking to make Windows 8.1 relevant in a seven inch frame. The resolution is 1280 x 800, and underneath the hood is an Intel Atom Z3735G with Intel HD Graphics (1.8 GHz, 2 MB cache, 4 cores), 1 GB RAM and 32GB of storage. Of course, this device has WIFI, Bluetooth, a Micro USB and Micro SD support to enhance the memory further. You can also listen to music with the 3.55 mm headphone jack or the single speaker. I know lots of people that are buying this tablet and hooking up a Bluetooth keyboard or buying a Beats Pill portable speaker and using it to bring to the beach or use it as a portable entertainment device. This tablet does not feel very high end has simple shell, sort of like a lower overall build quality than Acer employs on their current generation of mobile devices. It also cannot be charged while be hooked up to your PC via the USB cable, you definitely need to use the wall charger that comes with it. To be honest, this tablet is the best $99 you can spend. Walmart, Best Buy, Future Shop and a number of electronics stores all have cheap and cheerful tablets. They are often underpowered and running Google Android, they feel like Chinese tablets that sell, only because they are so damn inexpensive. If you would put the HP Stream 7, head to head with any of the cheapo stuff you would find at a big box retailer, it would slay it completely. The HP Stream 7 comes with Windows 8.1 and Microsoft sells it without any bloatware installed on it. This means, you will conserve precious memory by not having a ton of HP branded apps everywhere. I think the only app by HP it had, was a cloud printing one that hooks up to most WIFI enabled printers. This tablet runs all of the mainstream apps you would find in the official Microsoft RT store, many of the top apps you would find on Android or iOS have all been ported. You will also be able to use this as a solid e-reader, since Amazon, Kobo, Comixology and a myriad of others all have the ability to buy and read content. 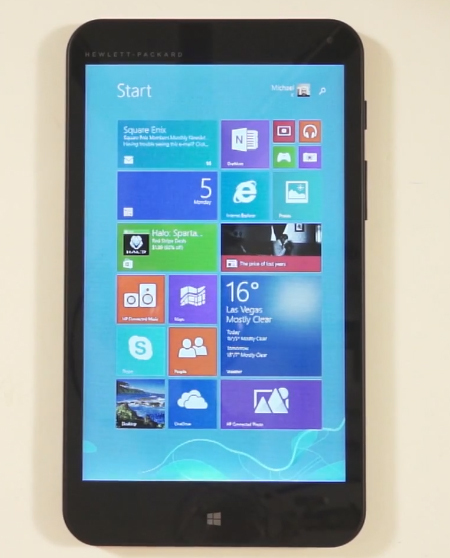 What makes this tablet truly exceptional is the ability to run traditional legacy Windows apps. Want to download and install Steam to play your backlog of content? You can do it. Need to install Firefox, Chrome, and your favorite internet browsing plugins, sure, no worries. Do you find yourself needing to use Photoshop and use the tablet to draw on via a stylus? This does that too, but a stylus does not ship with it, so you need to buy one extra. Finally, it will run the full version of Microsoft Office so you can bring your work with you, on the go. This tablet is not brimming with super high specs, so you likely won’t play any of the cutting edge games. It struggled with Star Craft 2 and Day Z. The New SIM City actually played fairly well, but anything made in the last few years that has shaders and runs in 3D might not be ideal. I would say the Stream 7 does well if you want to install the Native Windows Apps, there are all small in size and take up little to no memory. If you need legacy apps, I would install traditional productivity, business and art related stuff. If you need to game, try for more 2D experience or download some emulators. Oh, Hot Line Miami worked very well! Microsoft is trying to compete more in the tablet and smartphone space by either eliminating or severely discounting the licensing fees to use their OS. In effect, they are trying to pull a Google by not making money from their software, in a bid to gain market share. The HP 7 I think is the best tablet to really come to market using this new license strategy and the customer ends up with a solid device for a paltry $99. I would NEVER pay this amount of money for an Android tablet, because at Good e-Reader we have reviewed a ton, and they all sucked. This is the first cheap Windows tablet that is totally amazing. I’ve just bought this Tablet and I love it. But I have a question for you people. My last Tablet was an Android device and I was used to read and buy books on the Play Books store, but now, I’d like to know which one is the best App on Windows 8.1 to read these books. Kindle? Actually this is full Windows. So of you have any ebooks in form of pdf or epub you can download Calibre and see them all. Which format does Google Play use for their eBooks? The easiest thing to do might be to get a program that emulates Android and includes Google Play Store. I’ve seen recommendations for Bluestacks, there might be others.